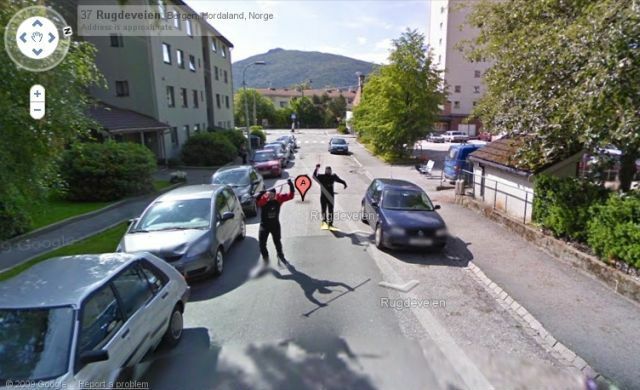 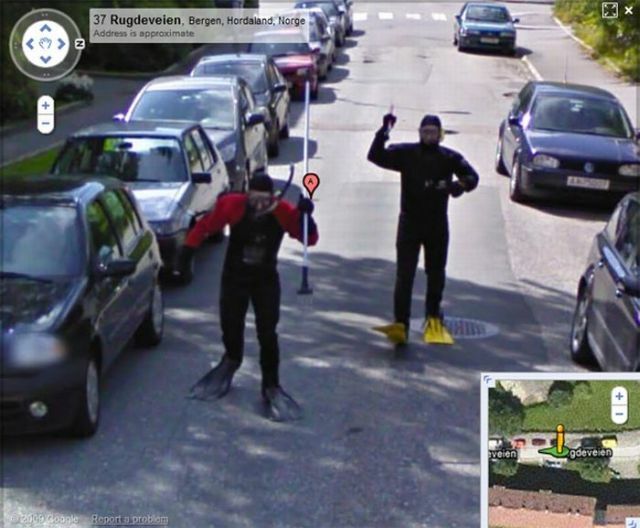 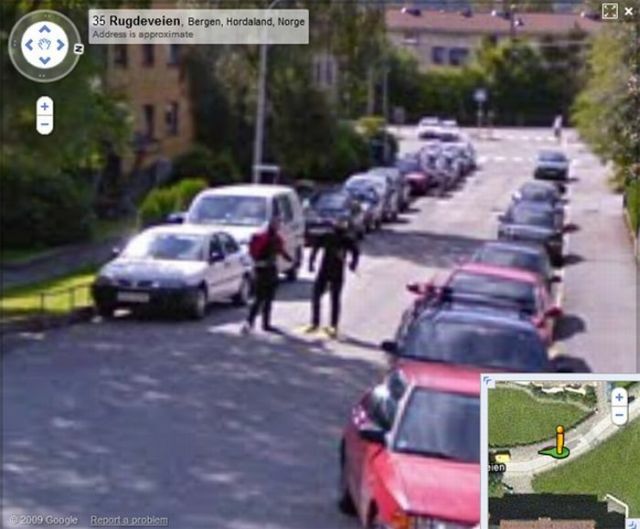 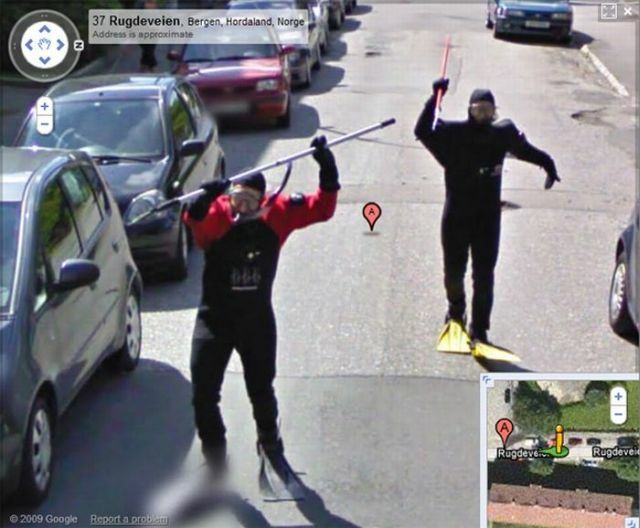 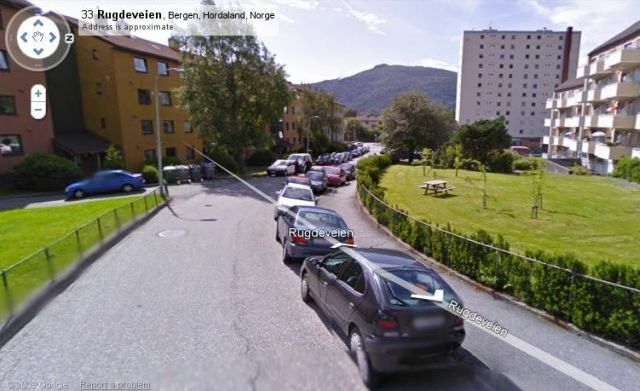 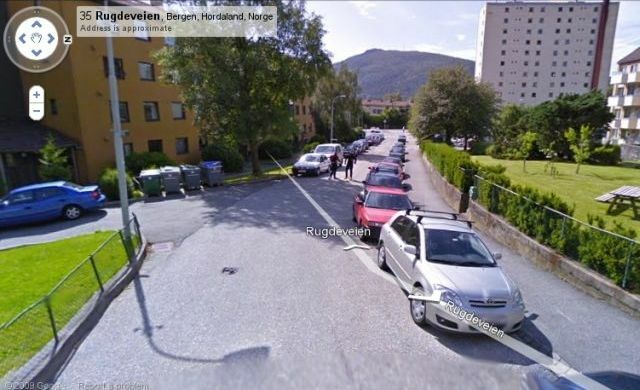 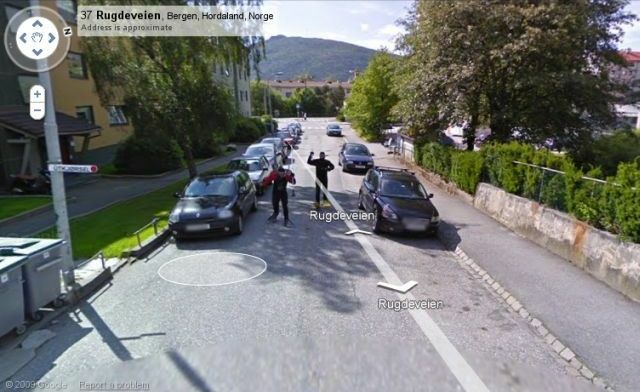 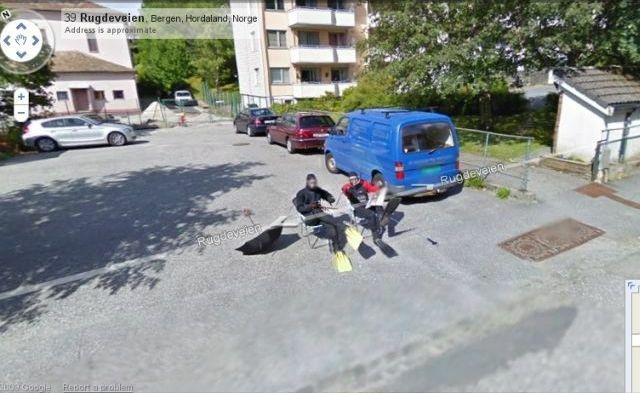 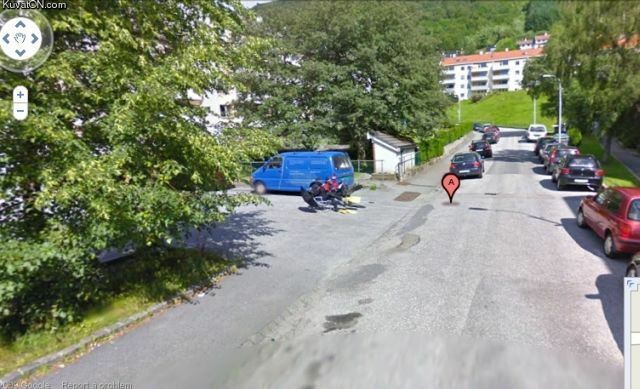 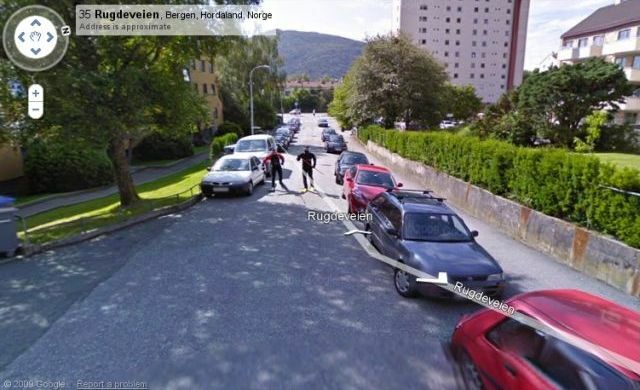 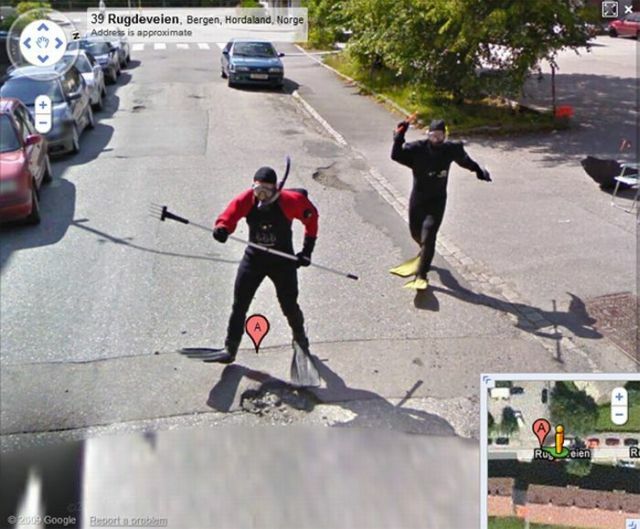 Two guys had fun last summer in Norway by chasing a Google Street View car, disguised in their scuba gears. 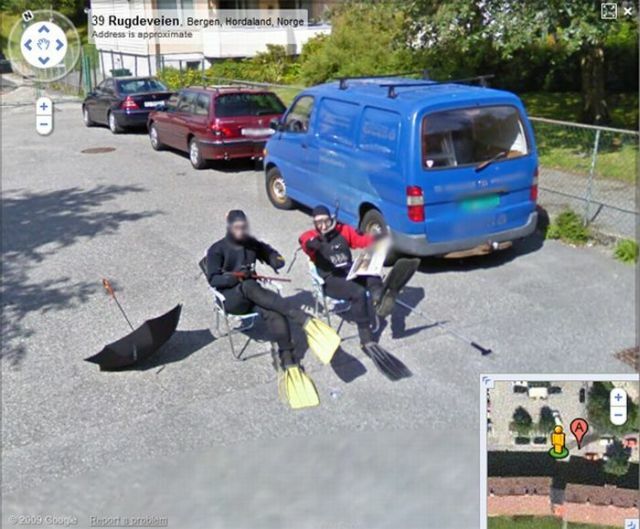 They said what started as a simple joke has become very popular on the Internet and they didn’t expect that. 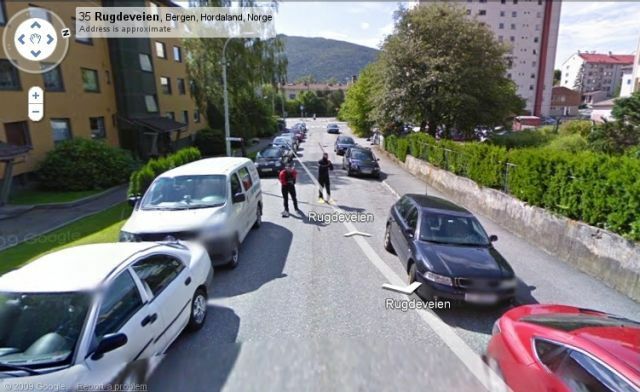 Man it must be a thrill to find the Google Car passing in front of you. 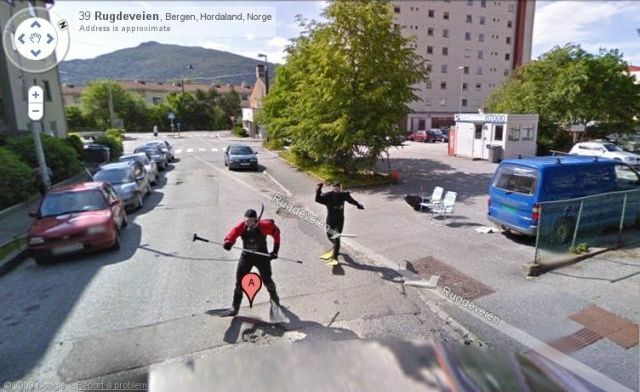 Knowing you can do something that shall be engraved online for as long as Google Street exists.